The UK Government has unveiled plans to give homes and businesses more control over their energy use by supporting innovation in battery storage technology. It is predicted that consumers could save £17bn to £40bn by 2050. 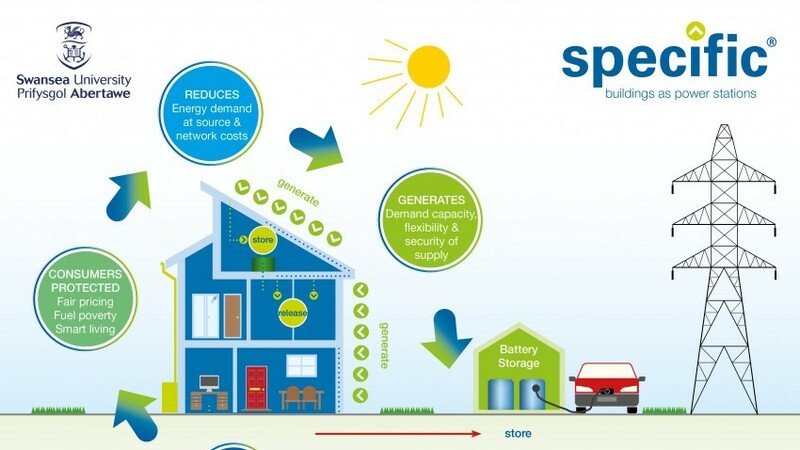 This announcement sits directly in-line with Swansea University-led project, SPECIFIC’s vision of ‘Buildings as Power Stations’ as consumers are being encouraged to generate, store and release their own energy from their homes. Current ‘rules’ around surplus energy export will be changed as well as a huge investment into battery technology as part of the Government’s Industrial Strategy. The new ‘rules’ are due to come into effect over the next year and will make it easier for people to generate their own power with solar panels, store it in batteries and sell surplus energy to the National Grid. They will remove the current tariffs that homes with solar panels face when exporting and importing electricity; allowing them to use their electricity in a more flexible way that would benefit the UK. They will also reduce costs to households that use their energy in a ‘smart’ way e.g. allowing their freezer to be turned off for a few minutes during peak times or setting their washing machine to start during a sunny afternoon to maximise the use of solar. To make solar power generation and storage more affordable for consumers, technological advances in the design, development and manufacture of electric batteries will be vital. Thus, Business and Energy Secretary Greg Clark announced (on 24th July) that a £264 million investment into battery technology in Britain is to be launched. Known as the Faraday Challenge, the 4-year investment is a key part of the government’s Industrial Strategy that will deliver a coordinated programme of competitions that will aim to boost both the research and development of expertise in battery technology. It is likely to have particular benefits in the automotive sector and renewable energy sector. Examples of buildings that use batteries to store and release their own solar energy are already in existence via SPECIFIC Innovation and Knowledge Centre. 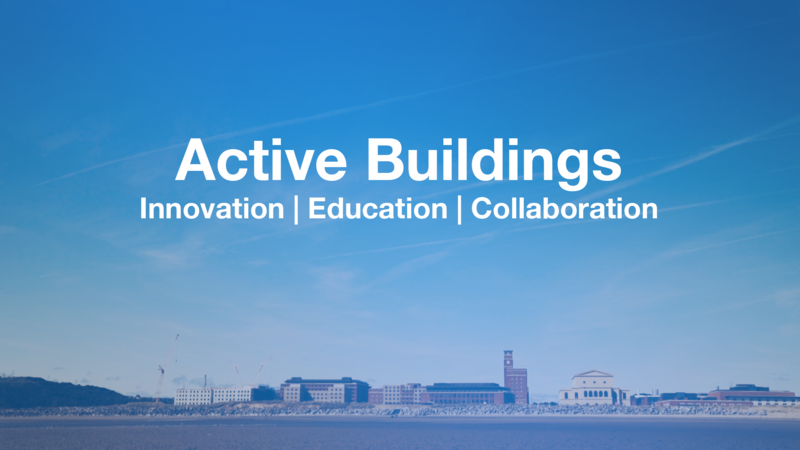 In 2015, the ‘Buildings as Power Stations’ concept was demonstrated in a house; and in 2016, the ‘Active Classroom’ was built to showcase that the technologies can also be applied in a public building. It is the first time that saltwater batteries have been used at large scale in the UK, showcasing innovative features such as non-toxic materials, no maintenance and daily charge / recharge optimisation. To read the full government announcement, please click here.